In just over a week I'm heading over to the Isle of Wight to the festival Bestival (eek!). They seem to always coordinate their themes with the current trends in fashion, which means it's a perfect festival to dress for. This year's theme is The Summer of Love a.k.a. 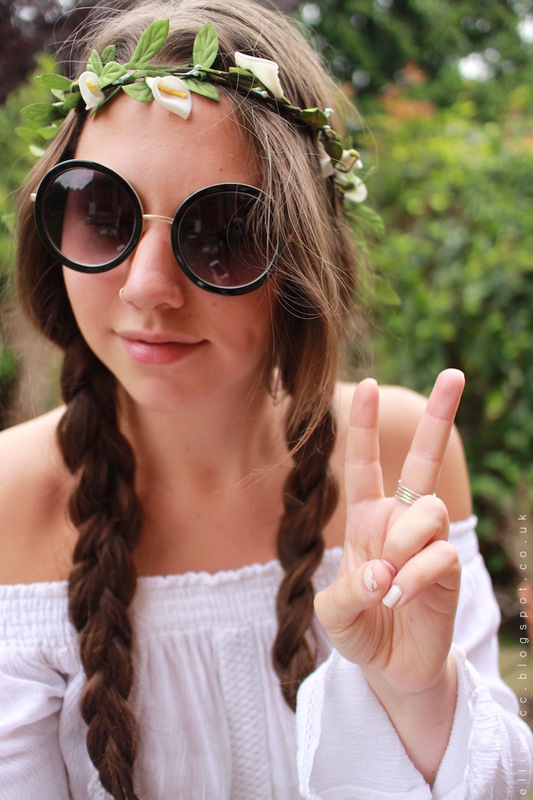 hippy/gypsy/seventies style. So for this special time of year, I thought I'd put together three looks as inspiration as a What to Wear to Bestival Lookbook. For day one I've gone for a hippy vibe. This incredibly comfy off the shoulder gypsy-style dress is a Primark find (during my trip to Birmingham which you can read all about HERE). I spotted it and I just pictured myself dancing with flowers and braids in my hair. Ahh. So much excitement. Speaking of flowers in my hair, of course I had to throw in a flower crown. 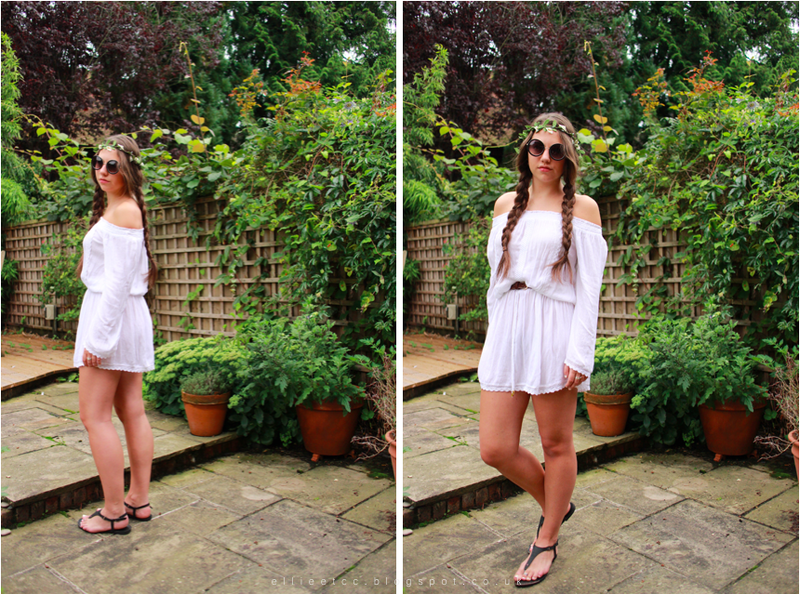 Because I mean, how could I be a British teenage female festival go-er without a flower crown?! *insert picture of dog in field with flowers on head meme*. I would love to pair this dress with some of those gorgeous lace up Aquazzura dupe flats/sandals that are just about everywhere, however I am highly irresponsible with money, so I can't afford any right now. Boo. Are you heading to Bestival? What are you planning to wear, or what would you wear if you were going? Stay tuned for Day Two and Three!